An elimination NASCAR playoff race always unfolds with lots of drama and nail biting. 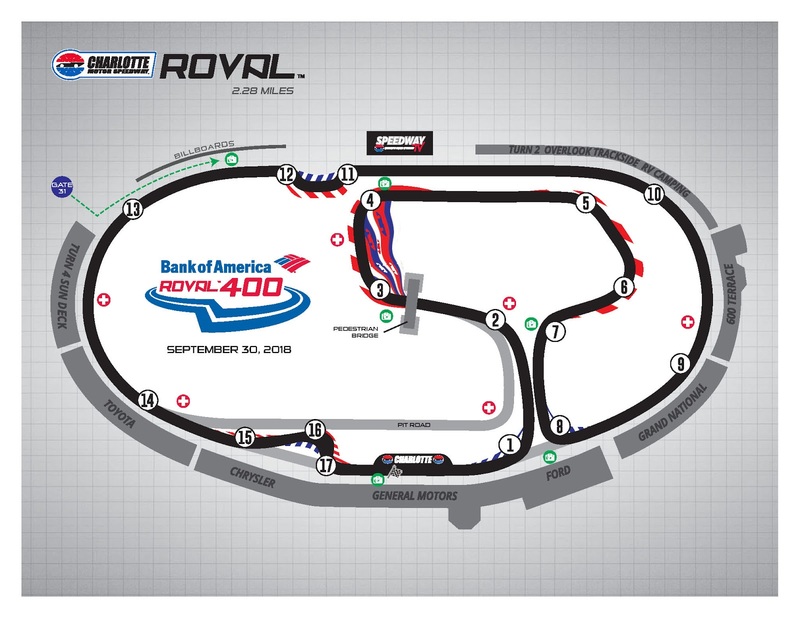 However, as we enter race weekend at Charlotte Motor Speedway, the buzz is at a new high as drivers face the "Roval" -- the road course/oval combo. Although some drivers had the opportunity to test at the new, one-of-a-kind, 1-turn, 2.28-mile track, most of them brought back a mangled car. In other words fellow fantasy players, we've got another Talladega on our hands in terms of fantasy picking this week. None of us know what racing product we'll get this weekend, but I believe the our road racing elites and our top playoff drivers will perform well. Driver's statistics and averages on road courses provide a strong foundation for my selection strategy this weekend. The Likely Suspects: There are drivers who embrace the art of road racing. Watching them traverse a road track is a thing of beauty. I look for these drivers to adapt well to the Roval: Kyle Busch, Denny Hamlin, Martin Truex Jr., Kyle Larson, Kurt Busch, Kevin Harvick, Brad Keselowski, Clint Bowyer and Jimmie Johnson. Although he hasn't been driving upfront this season, AJ Allmendinger needs a ride next year and will no doubt flex his road racing prowess this weekend. My 2 Cents: My no-brainer pick is a tie between Martin Truex Jr. and Kyle Larson. Kyle Busch is also a fine pick and Denny Hamlin is a good road racer with a lot of incentive this week since he needs a win. My next picks are Chase Elliott, Clint Bowyer, Erik Jones and Jamie McMurray. I'll round out my team with William Byron and Michael McDowell. My Final Four: Martin Truex Jr., Chase Elliott, Kurt Busch and Michael McDowell. Second-look driver: This week's second-look driver is AJ Allmendinger. In the past six road races, the Dinger has scored one top five, two top 10s and led 29 laps. Last week's second-look driver, Matt Kenseth, had a less-than-stellar performance. He finished 25th after starting in 17th place. Remember, if you're playing Driver Group Game, make your picks by 8 a.m. EDT on Friday, September 28th and your final picks by 2 p.m. EDT on race day Sunday, September 30th.